I lost a Redbox movie rental once. Well, not really. I had just forgotten to return it the next day and then it slipped my mind until it was too late. Either way, it ended up costing me a lot more than I wanted to pay for a movie that wasn’t all that great. 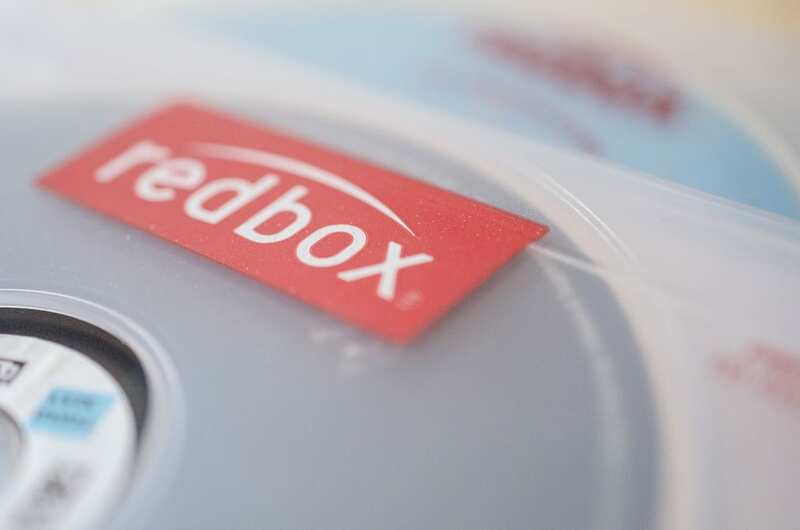 We all love watching movies but returning them the next day to a Redbox near you is just a plain hassle. If you want to avoid that pain, you should definitely check out Hulu if you haven’t already. They’re both streaming services that offer a large collection of movies and tv shows without late fees and the possibility of misplacing dvds. Want to avoid paying fees for late rental returns? Get a 2-week free trial of Hulu and stream your movies on demand! This article is going to walk you through Redbox’s rental policy and what to expect if you lose or can’t return a Redbox rental (DVD/Blu-ray/Game). 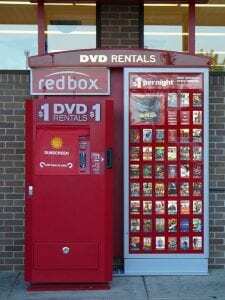 Do you still have your Redbox rental but not sure where the closest kiosk to return it is? No problem, just go to Redbox’s location finder and put in your current zip code and it’ll show you where the nearest kiosk is. They even give you directions to it, but I’d recommend plugging the address into Google Maps or a different GPS app because their directions aren’t the most user-friendly. Remember, you can return your Red box rental at any kiosk. You don’t have to return the rental to the same kiosk where you got it from. RedBox’s Return Time – How long is the Rental Period? According to Red box, your rental period lasts from the day you bought it until the next day at 9:00 pm. So if you rented a movie on Sunday at 11:30 pm, you would have to return it by Monday at 9:00 pm to avoid paying for another rental period plus tax. If you happen to wait an extra 31 minutes and rent the movie on Monday at 12:01 am, then the movie rental period would last until Tuesday at 9:00 pm. You should be aware that if you live on or close to two different time zones, your rental is due at 9:00 pm in the time zone where you rented it. Another good thing to remember is that if you reserve a rental online or through their mobile app, the rental period starts immediately. So even if you don’t pick up the rental at all, you’ll still be charged for a full rental period. Luckily, they cap it out at one rental period. If however, you pick it up, the same rules apply as above. Redbox’s Late Fee – How much is it? It’s 9:01 pm and you just realized that you haven’t returned that Red box movie you rented the night before. What do you do? Well, unfortunately, there isn’t much you can do besides return it and pay for the extra rental period plus tax. For a DVD or Blu-ray, this amounts to an extra $1.50 to $3.00 depending on taxes. Since you already paid for the whole rental period, you can always keep it for another night and rewatch it! Just make sure to return it before 9:00 pm the next day. Redbox Lost Movie Fee – What happens if you can’t return or lost a Redbox movie? If your dog ate your movie or if you simply forgot to return the movie until months later, RedBox’s return policy is pretty straightforward. When you’re checking out your movie or game from the kiosk, it will tell you what the max rental period is. For most movies, it’s 17 days. For most games, it’s 23 days. Which basically means, you’ll be paying the daily rental fee plus tax every day until 17 or 23 days are up. After that, you own the rental. For a DVD you’ll typically be paying $25.50 plus tax to own the rental. For a Blu-ray Disc, you’ll be paying around $34.00. For a game, you’ll be paying $69.00. These prices may vary depending on the daily rental period charge in your area. You’ll typically be paying more than if you had gone and outright bought the movie or game in stores. Plus you don’t get the nice disk or case with it if you own a Redbox rental. So be careful, return those rentals right after you watch them, and don’t do like I do and forget that you rented a movie in the first place. Here’s another commonly asked question about Redbox movie rentals: what do I do if a Red box movie won’t play? This is the worst. You went out to rent that exciting new movie, popped it into the DVD player and nothing happens. It won’t play or it’s completely fuzzy. First, if the screen is totally black or it says “no signal”, make sure that both the tv and DVD player are hooked up correctly and turned on. You’re probably laughing because this is so obvious, but you’d be surprised. We all make mistakes. If everything looks good but the movie still isn’t playing, check to make sure you’re not putting a Blu-ray disk into a standard DVD player. Your DVD player has to be Blu-ray compatible for it to be able to play correctly. If you are sure you have the right device, then it’s possible that the disk is dirty. You can try cleaning your disk with a soft cloth, I’ve found that glasses cleaning cloths – you know, that stuff that feels like felt – work perfectly to clean dvds and game disks. Wipe gently from the center to the edge. If you’ve tried the two above tips and the movie still won’t play than Redbox suggests you contact them directly to report the unplayable disk. Hopefully, it won’t come to that. I’d love to hear if you still use Redbox and what your experiences with them are in the comments!